Truth be told, we have killed many garden plants, none of which were intentional. Since the Sunset Magazine articles about us and our garden were published, everyone thinks we’re master gardeners. Folks! 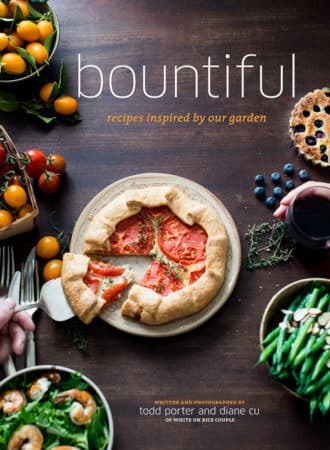 There’s a long list of garden failures that we’ve yet to publish. Maybe we’ll share some of our garden disaster stories so you can see how much of our initial gardening career was (and still is) by trial and error. But what we love so much about gardening is that it’s a continuous learning experience. One set of plants that we’ve had 100% success rate with are snow and sweet peas. There’s something special in the air this time of year because our pea vines are exploding with sweet, candy-like pods. Growing peas are so easy that even brown-thumbed gardeners can grow them with reasonable success. When the weather begins to warm up in Spring, the vines seem to take a life and attitude of their own, sprawling over the trellis like happy serpents. Friends come over and treat themselves to the pea pods straight off the vines and they think we’re gardening genuises. 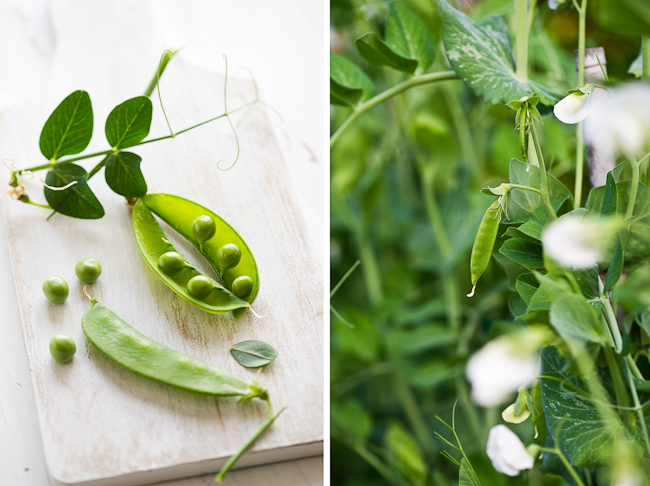 If you want plant a vegetable that is easy to grow and that will make yourself look mighty impressive to your guests, then peas are star plants. Peas love cool weather and lots of sunshine. Within a few months, tendrils will creep up the trellis faster than we can control them. In fact, we’ve had to give the vines a serious hair cut to just control their erratic growth spurts. That doesn’t really do much good because within a few weeks, they grow back even stronger. 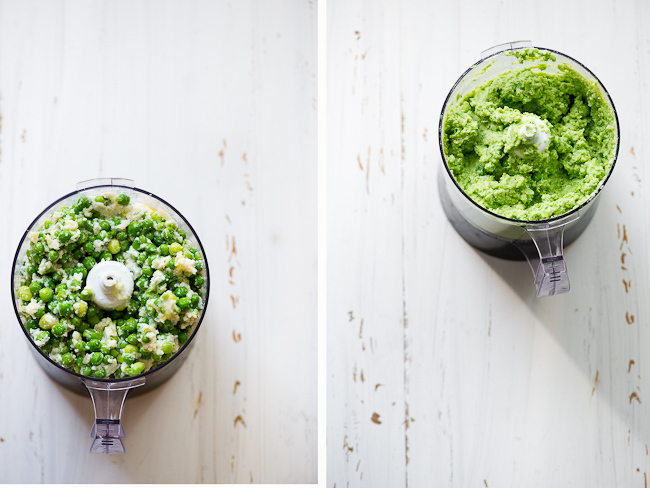 With so many peas to harvest, we were looking for some new pea recipes that were beyond our basic stir-frys and salads. 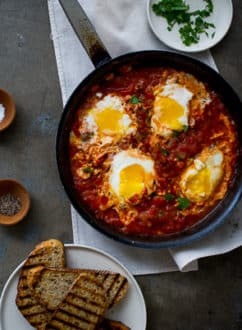 Heidi’s 101cookbooks.com site quickly came to mind because she has the most extensive, reliable and healthy recipe archive online, on Earth and in the galaxy. 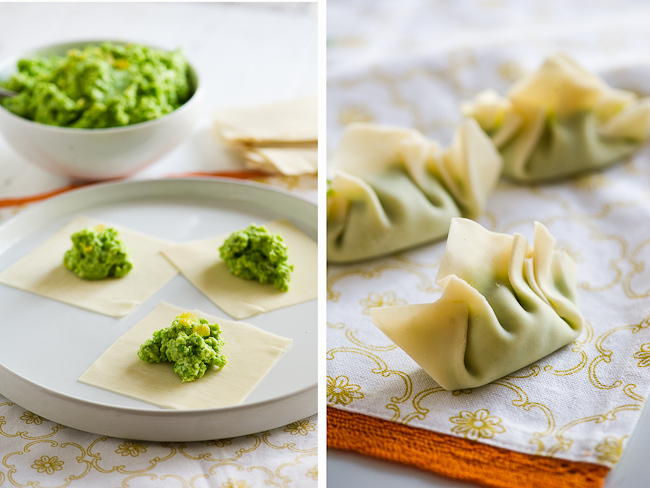 A quick search through her recipe archive led us to her fabulous Plump Pea Dumplings post. We were all over her wonderful recipe and what a great way to rally in Springs celebration of fresh peas. 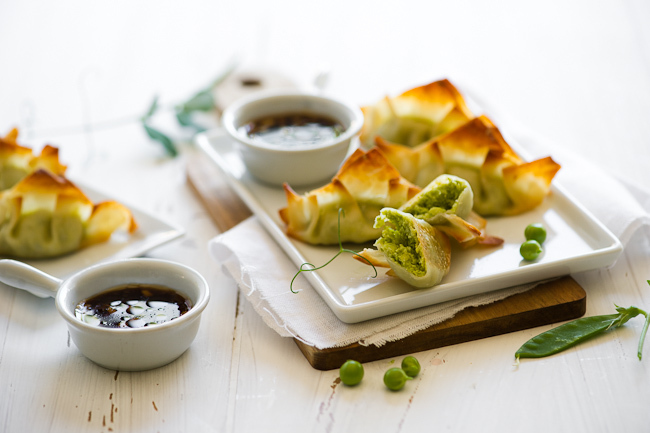 Normally, we’ll pan fry or deep fry our dumplings and pot stickers, but we chose a healthier baked version to maintain the fresh, sweet flavors of the pea fillings. With a just few personal touches that we added to Heidi’s recipe, these pea pot stickers arrived out of the oven with the perfect chewy crunch. Adding a bright ginger soy as a dip was the perfect ending to this wonderful appetizer. dig in, you deserve it. Adapted from 101cookbooks.com. Heidi gives detailed instructions in her original entry for how to make the dumplings. 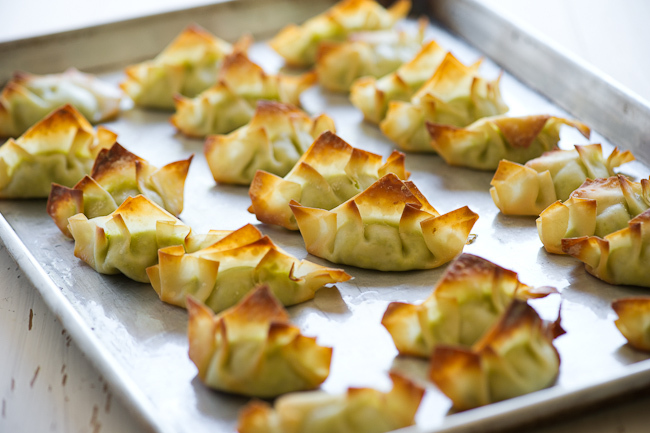 Jaden from Steamykitchen also has a great tutorial for how to pleat pot sticker dumplings. Please reference Heidi and Jaden's entries for the perfect dumpling dips. Baking these pot stickers make them less greasy and much healthier, resulting in a crispy, chewy texture. 1 package of wonton , gyoza or dumpling wrappers. Bring water to boil in a medium saucepan, then add a little bit of salt to the water. Cook the peas till they are soft. For frozen peas, this should take about 1-2 minutes. For fresh peas, this should take around 3-4 minutes, depending on size of peas. Remove saucepan from heat and drain the peas under cold water till peas are cool. Pre-heat your oven to about 350°F. 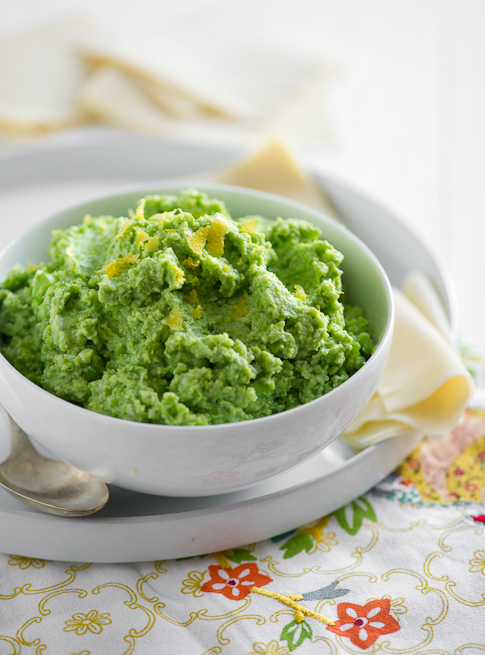 In a food processor, blend the peas, ricotta cheese, sesame oil, olive oil and salt to a smooth or chunky texture, depending on your personal choice. Empty this mixture to a larger bowl and add parmesan cheese and lemon zest. Add about 1 teaspoon of pea filling in middle of each pot sticker wrapper. Moisten the edges of the wrapper with a bit of water and fold over sides. There are many different shapes you can fold your pot stickers. Please visit Jaden's tutorial and Heidi's thorough write up for her dumping folding technique. On sheet pan brushed with a light layer of grapeseed or vegetable oil, place all pot stickers about 1/2 inch from one another. Gently brush each potsticker with a light coating of vegetable or grapeseed oil. We prefer to use grapeseed oil because it's lighter, cleaner tasting and has a higher flash point for the oven temperature. Bake for about 15-20 minutes until pot sticker edges become golden brown. Rotate the sheet pan about 10 halfway during baking time to allow pot stickers to brown evenly. For dip, combine all ingredients in a medium bowl (soy sauce, water, lemon or lime juice, ginger, and sesame oil). 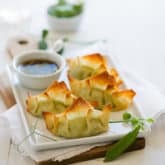 Serve pot stickers with the ginger soy dip. Oh my gosh…just discovered this and just made these tonight. So good! For anyone looking for substitutions for the wrappers, my local tiny little Asian grocer was all out of gyoza or wonton wrappers, but they did have egg roll wrappers, which I cut into pieces and it turned out great. I seriously need to work on my wrapping technique, though, mine were not nearly so pretty as these lovely photos. Tasty, though! The filling works great in about anything. Our first choice would be to make pasta and use it in a filling for tortellini or ravioli. 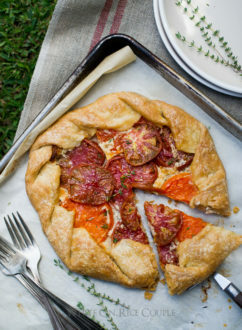 Puff pastry and phyllo dough would be fun too! Thank you 🙂 and yes.. would be really good for pasta… humm now you give me a very nice idea..because I make my own pasta too ! Those make my life so much better. I made them the day you posted the recipe, and 5 times ever since. Seriously, there are only a few things that I like to eat that much (red beans burritos and hand made noodles with shrimp). These make me soooo happy. 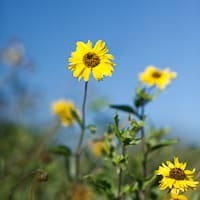 Just came across you site, LOVE your photography! A friend brought these delectable little morsels to my house for a lunch get together. I think I could have eaten them all, they were so tasty! Now this is a recipe I would love to dig into. 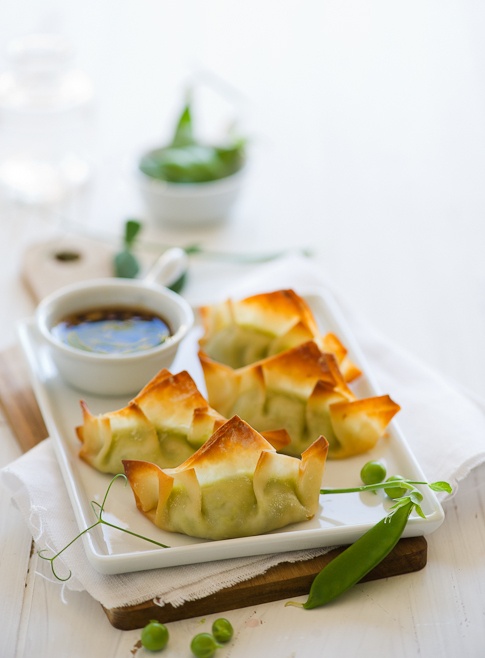 Love the idea of the sweet pea filling & that you baked the potstickers rather than frying them. The photographs are so lovely. They made me take a deep breath and relax for a moment. I can’t wait to get down to the market, buy some sweet peas and give these a try. These are gorgeous! We just purchased a massive bag of peas from the store, and I was teasing my husband because I couldn’t figure out how we’d eat all of them either, and there are six of us to get the job done. The dumplings look so fresh and inviting! Lovely recipe and nice that it is baked. Much healthier. Your photography is really lovely. Made them last night, as planned, along with your Srircha Chili Chicken Wings. Was a finger licking feast. And what a perfect combo. We have another meal’s worth of dumplings frozen and ready for the next round…which may be very soon. BTW. My idea of adding mint to the dipping sauce was not a good one, had to remake it BUT for the second try we added read lemon peel tot he sauce and added the fresh mint to the dumpling mixture. That was dandy. Lastly, you can make the stuffing mixture a day ahead and it’ll taste even better. Wow, these pictures are beautiful and the potstickers look so tasty! It never even occurred to me to bake them instead of just frying them in a pan. I’ll definitely have to try this recipe out! I am new blogger and when I reached here .. i was stuck here for almost an hour ! such beautiful pics you have here ..
I’ll have to try these refreshing pot stickers. Just lovely – and they sound delicious. I’m wondering, instead of brushing them with grape seed oil, how Pam or the like would work… Guess I’ll have to try it and see. Let us know how it turns out. We never use Pam or other sprays and are curious about the results. mmm. These look beautiful. Did you have any trouble with the tops baking too quickly/getting too crispy? 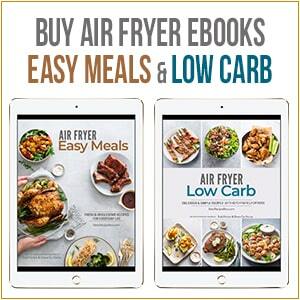 This sounds like a great healthy alternative to pan-frying, I’ll have to try it this weekend! Thanks! The tops do crisp up more than the rest but in our oven it was just the right amount. If you are finding the tops being done too far ahead of the rest, try covering them with a sheet of aluminum foil or next time baking on a lower rack. Happy baking! Prettiest dumplings ever. Was wondering how you got them so beautifully browned. Ahh, baking them! Will have to try that the next time I’m making a batch of dumplings. These look heavenly! I am even more anxious to get back home to my kitchen in Taiwan and try these! 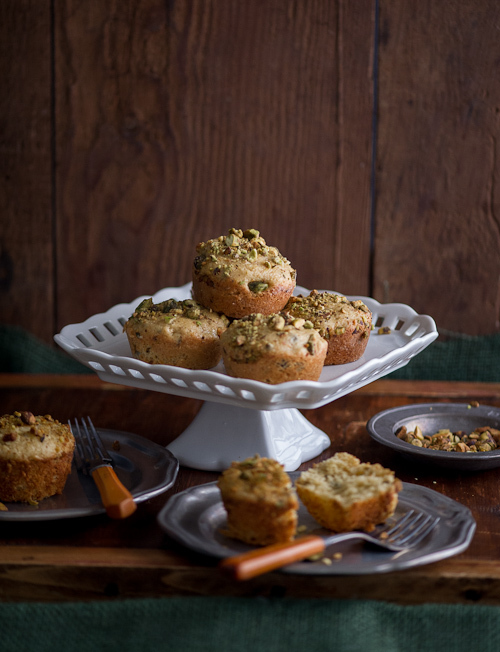 The idea of baking them is awesome — what a healthy alternative! I’ve just come across your gorgeous site and pictures – the photography is stunning. I look forward to looking at more of your site. I can’t believe how excited this dish got me. The beauty of the images is to be blamed, but it is sure to be the best-tasting light spring dinner to be found at our table any day now. Thank you for this inspiration. Waking up to your post and your photos, feels almost dreamlike. I love the idea of a baked pot sticker. Does that mean I can eat more than the usual 6? Inspiring post! These look so good to me! The perfect little initiation to spring. Beautiful photos!! The pot stickers look so perfect! Thanks for the Ginger Soy Dip, I can think of several things this would be great with. On another note, not to be thick, but when you say “sweet peas” do you mean the kind grown for their gorgeous flowers or just regular peas? could you substitute the peas for sweet potato? kate- sure, we’re sure sweet potato would be a fabulous alternative. I just want to say that the work you produce is beautiful! I am constanly in awe! Fresh, crisp, light, green-white – the images make me float. 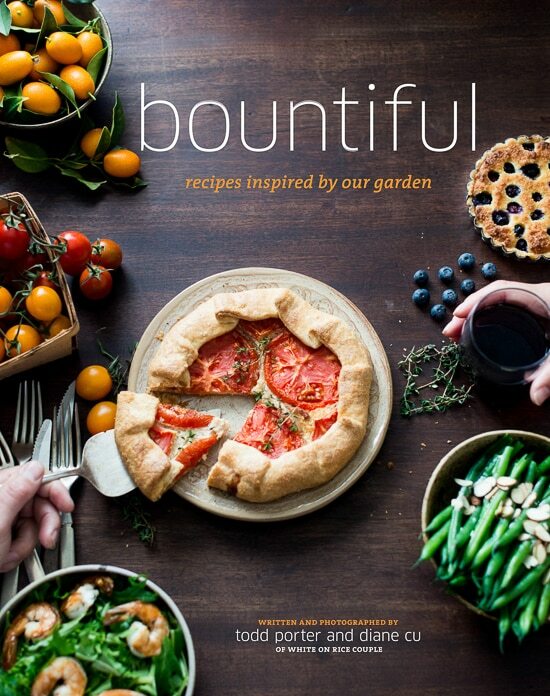 Beautiful ode to spring and the bounty of your garden. Thanks for sharing the beauty. Gah! Those looks GORGEOUS! The vivid colors and the wonderful toasty dumpling wrappers. I love it. Perhaps one of these days I will make it down there to experience your garden in person. It just looks amazing. I love peas! Love ’em raw. Love ’em cooked. I’m thinking I’m going to love these little dumplings too. As always – gorgeous photos and you two rock! Your photos are always beautiful, but these ones are particularly stunning. Those bright green peas make me yearn for spring. Tucking them inside potstickers is a wonderful way to highlight their flavor. How beautiful! I will be growing my first peas this year. There’s a random chain link fence panel in our backyard from the previous owners. I’ve decided it will be the pea fence. Will have to give this a try once I have peas coming out of my ears! Your photos are soooo beautiful, I want to eat those! Can’t wait to try these especially the ginger soy dip! Oh, can’t wait. These look beautiful and do-able. And I can think of several other ‘opportunities’ for that ginger soy dip. Thanks for sharing another gift from your garden! You make it seem so easy! 🙂 But I think you’re some sort of geniuses who get everything right : pictures, peas and dumplings! 🙂 Salutes! This is great! I experiment and make dumplings often! but these are stunning! I have tried to duplicate the dumpling sauce served at restaurants but can never get it right. If this is it, I’ll be in heaven since I dip my egg rolls in it too! Amazing post. I’m going to make these tomorrow night. This weekend our whole foods had big bags of fresh shelled peas and I was so tempted but couldn’t think of a wow recipe to justify the pricey price. Now I have one. Think I’ll add some fresh mint to the dipping sauce. Love peas and mint. And you know what would be the perfect combination with these? Your Sriracha Chicken Wings! Totally yin & yang in flavor, heat, and especially COLOR. They’re both oven recipes too. Bake off wings first at 450, then dumplings at 350 while I throw together the wing sauce and dipping sauces. 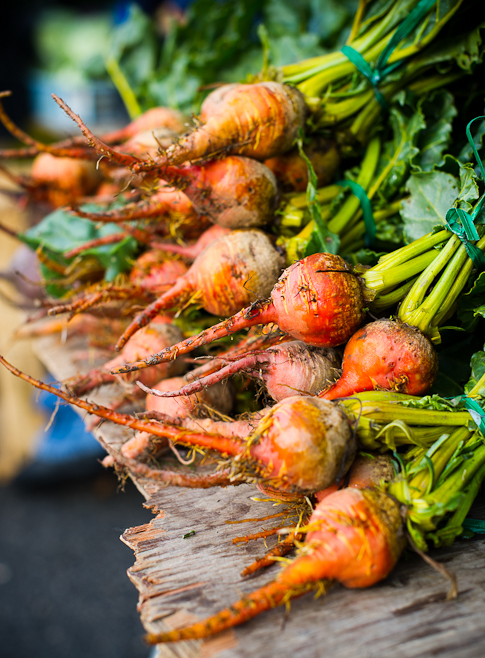 Add small bowls of velvet corn soup and you have all the colors and textures in front of you. Thanks, for this and all the inspiration you two provide! These look delicious and refreshing. Heading over to Steamy Kitchen to have a look at the tutorial! Great Pictures as always! The peas are beautiful! I recently wrote a quick peas post and I thought it was GOOD. But this is totally awesome! Fantastic and very appetizing dumplings. 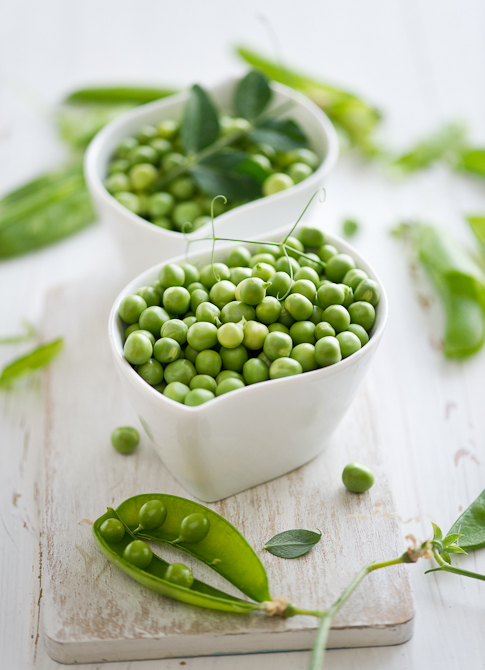 Love the stuffing of fresh green peas and am sure your version must be truly delightful because of home grown. I have bookmarked another of your wonderful recipe to be tried by me soon…thanks and cheers ! Thank you so much for merging my two favorite food blogs in one post!!! You guys are awesome and so inspiring to cooks, gardners, dog lovers, apprentice photographs, etc. Keep it up!!! Beautiful! The pot stickers with their crispy brown edges look so tempting! Beautiful!! I still have 3 to 4 months before I can plant anything..thank you for the beauty! Love this unusual filling. Great recipe. Thanks. wow. just wow. this is beautiful…and so unique. Wow…I never thought you could bake potstickers….what a great alternative to frying and steaming. They are works of ART! Wow…amazing job. I love the pale to browned wrappers, the bright green filling…just beautiful! Really beautiful. I will have to remember these. I look forward to fresh peas, but it will be near the end of August before they are ready here. These look delicious and all of your pictures are gorgeous! These little nibbles look stunning!